Have you ever asked for directions in an unfamiliar city, only to find that you’ve been pronouncing the street name all wrong? It’s not hard to do even in a place that speaks your own language, let alone in a city with a foreign tongue. 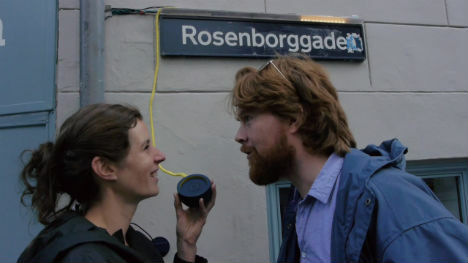 Just try to say ‘Rådhusstræde’ correctly, if you’re not Danish. 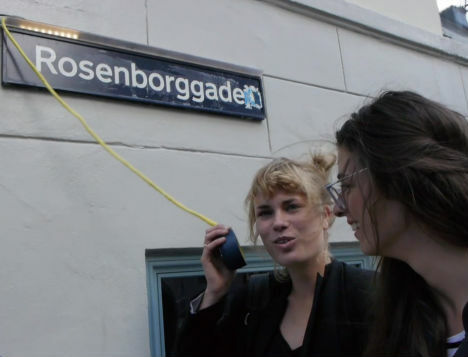 A new installation in Copenhagen will show you exactly how to do that with an interactive speaker and light display. 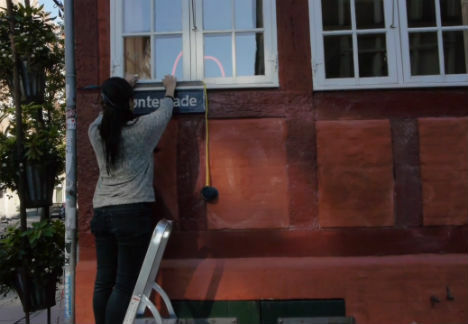 For ‘What the Phonics’, Momo Miyazai and Andrew Spitz at the Copenhagen Institute of Interaction Design installed a speaker on a cable, along with a strip of lights, above street signs in touristy areas of the city. Imagine if this kind of technology were available everywhere in the world. Even in New York City there are names like ‘Koscuiszko’. Mexico City has ‘Cuauhtemoc’. In Wales, ‘Pontrhydfendigaid’ is just the name of a village, and street names can get even more complicated from there. Pronunciation guides would eliminate a lot of confusion and some seriously embarrassing moments.